This full 5 volume set is a comprehensive collection of road traffic/transport legislation. The print subscription includes a free mobile version as well as updates for 12 months (print and mobile). 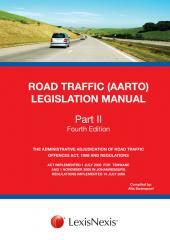 This comprehensive work comprises five volumes in 7 binders and consolidates legislation in the fields of road traffic and road transportation in South Africa. Alta Swanepoel's expert summaries, commentaries, notes and cross-references allow for accessibility, ease of reference and user-friendliness. 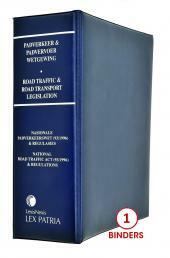 Volumes can also be purchased individually.